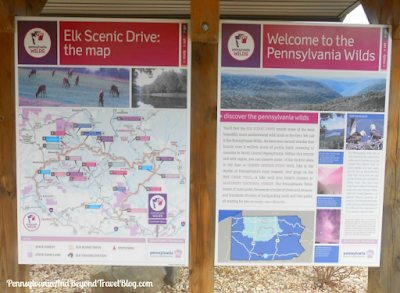 The Elk Scenic Drive in the PA Wilds is a 127 mile route that passes through 5 Pennsylvania counties and includes 5 Pennsylvania state parks. 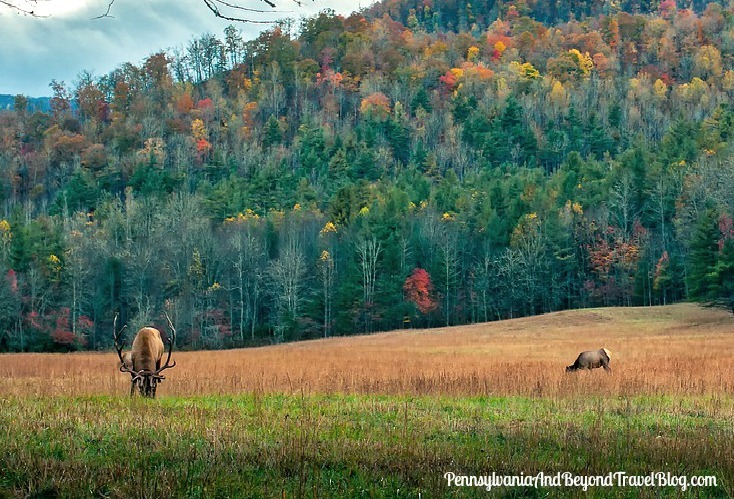 During this scenic drive you'll have the opportunity to see some of Pennsylvania's wildlife: deer, elk, pheasants, turkeys, bald eagles, turtles, bears, foxes, various species of birds and more. If you're new to the area, we recommend that you start your adventure at one of two visitor centers. 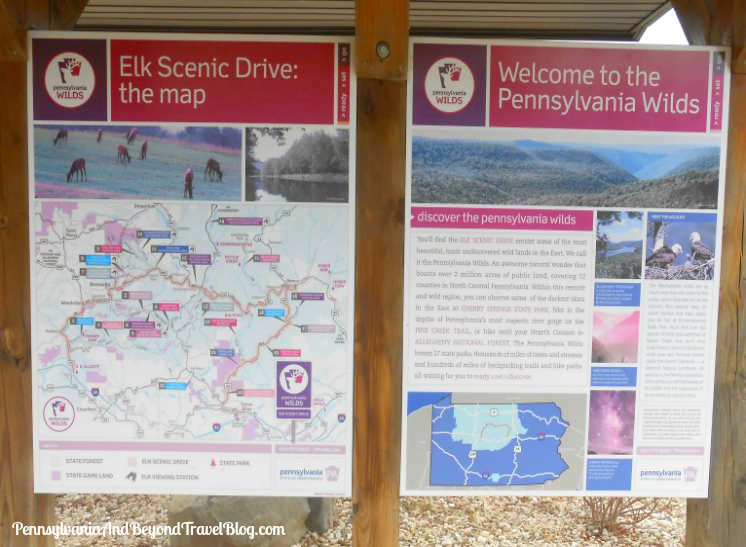 The Elk Country Visitor's Center is located in Benezette and the Sinnemahoning State Park and Wildlife Center is located at Sinnemahoning State Park. The visitor centers offer free information, route maps, exhibits and hands-on activities located at their facilities. 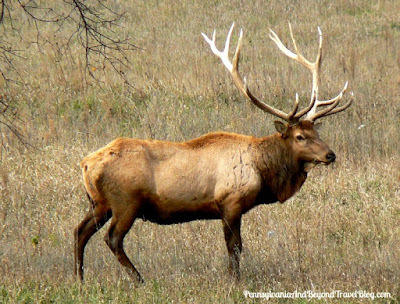 Back in late February we took a road trip through 50 miles of the 127 miles of the scheduled route through Elk Country. Through some of the areas we would see light snow on the ground and then through other areas...nothing. It's amazing how dramatically the scenery can change every 15 or 20 miles. As you drive along you'll pass through some of Pennsylvania's smallest towns, through valleys and over several mountains. It's a beautiful drive no matter what time of the year you may be visiting. However, we were told by locals that late spring and early fall was the best times of the year to visit. During the springtime...you'll see lush greenery, wildflowers and many of the wildlife animals are giving birth and raising their young. During the fall season you'll be treated to some of the prettiest fall foliage that the area has to offer. We planned ahead for our little road trip and packed picnic-style lunches, bottled water, throw blankets, cameras, binoculars and other necessities that are needed for a road trip. We accessed the Elk Scenic Drive route off of Interstate I-80 and then followed the marked route from there. You'll find plenty of places where you can get out of your vehicle to view the local wildlife and to stretch your legs. 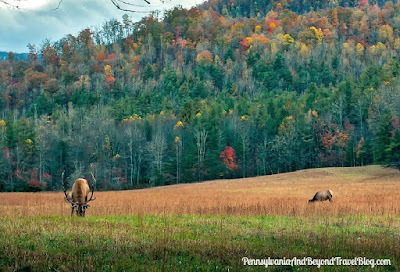 You can get more information from the Pennsylvania Wilds website if you want to plan a road trip through the PA Wilds. You can connect with the PA Wilds over on their Facebook page too. We had a great time and next year we'll be returning and this time we'll be bringing along our grandchildren for the experience of a lifetime!